If you love rooting & flashing ROMs on your Android phone than Nandroid backup is very necessary to recover from the lost. Flashing is not an easy task especially for newbies, I’ve seen many cases where users end up with a broken phone in their hand during flashing ROMs. Nandroid backup can save you from disaster and help you to restore the phone in previous state. Please take a Nandroid backup before flashing any ROMs. Nandroid backup not only bring your phone in working mode but also help you to switch back to stock ROM. This simple tutorial help you to Backup and Restore Nandroid image on Android. 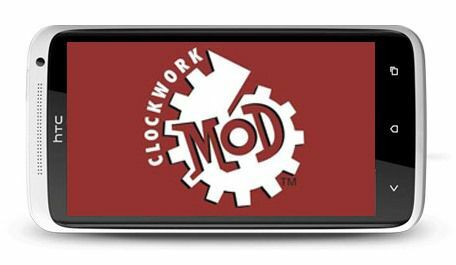 NOTE: You must ensure that your Android phone is rooted and clockworkMod recovery installed. Also free up some space on your device internal storage. You’ve also required ROM Manager, download from play store. Step 2: Once you’re in recovery, now navigate to “backup and restore” and then “backup” to start the backup of your phone current state including your Stock ROM. Note: Inside the Recovery console you will be using the volume-up and volume-down buttons to navigate, and the power/home button to select. Note: The Backup process can take up to 10-20 minutes depending on your data. Step 4: Nandroid backup is very important, so I recommend you to save the backup to some other location. Connect your phone to PC in USB Mass Storage mode. Now navigate to <removable drive>/clockworkmod/backup and transfer the folder to your pc. Step 2: Once you’re in recovery, now navigate to “backup and restore” and then “restore”, now select the file you want to restore. Note: If you don’t have backup files on your sdcard, then you can should transfer nandroid backup files to /sdcard/clockworkmod/backup folder. Warning: Don’t try to restore other phone model nandroid backup. Step 3: Wait for the restoration process to complete, it may take 10-20 mins depending on your size. Congratulation, You’ve successfully restored the nandroid backup.